On September 29th, 2012, T.E.A.L. participated in New York’s first Ovarian Cancer Expo, at the Hotel Pennsylvania. T.E.A.L.‘s Executive Director, Pamela walked in a fashion show at the event to raise awareness. Plus, T.E.A.L. had a booth promoting our merchandise and educational information. This expo was run by Color of Teal, an Ovarian Cancer advocacy organization based in the New York City area. Color of Teal’s President, Genese Valentine has participated in several T.E.A.L. Walks under the name Team Valentine, dedicated to her mother, Miriam Valentine. 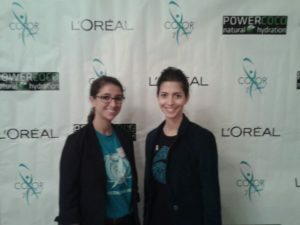 Thanks to the Color of Teal for letting us participate in New York’s first Ovarian Cancer Expo!